Welcome to part two of the Overclocker Profiles series where we introduce each of the overclockers that will compete in the Overclocking World Championship Final which is just days away. We continue today by introducing you to a PXHX from Brazil, an overclocker that is one of three overclockers to make a second appearance in this competition. 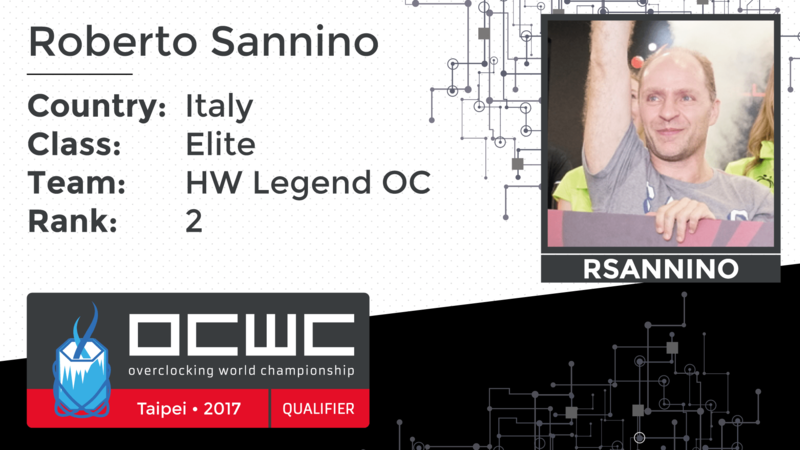 Let’s have a gander at how PXHX qualified for the OCWC 2017 Final and also a look at the man behind the LN2 flask. Welcome to the Overclocker Profiles series where we introduce each of the overclockers that will compete in the Overclocking World Championship Final on December 9th and 10th of this year. 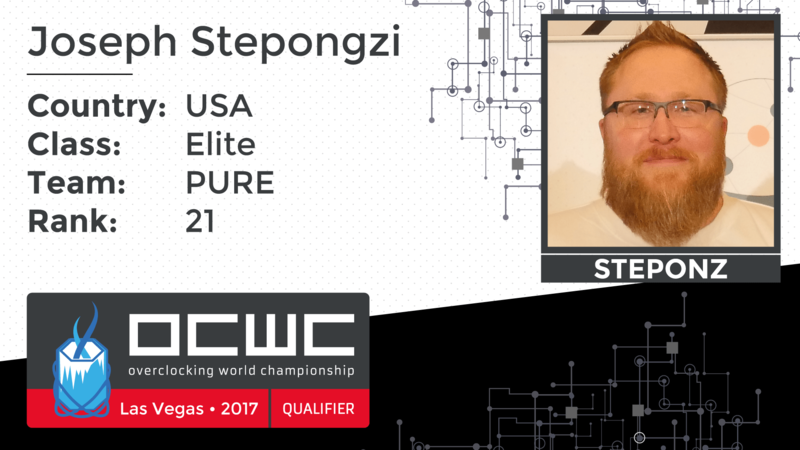 We kick off the series today by introducing you to a legendary US overclocker known as steponz. Let’s take a quick look at how this guy qualified for the OCWC 2017 Final and also a look at the man behind the LN2 flask. 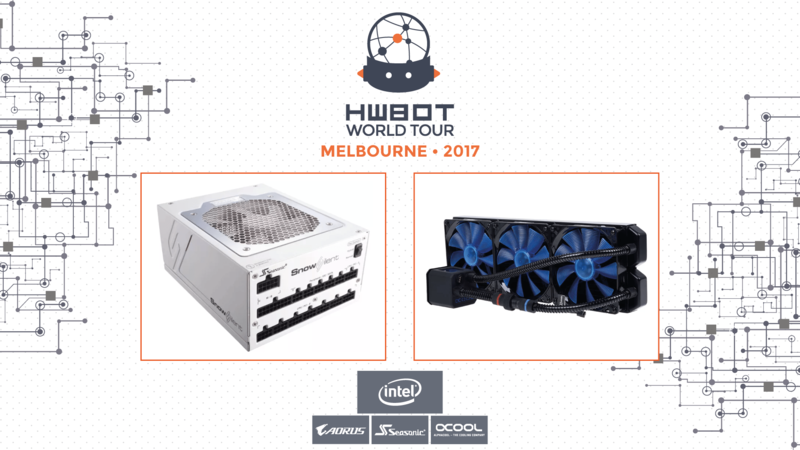 November 28, 2017, Taipei, Taiwan – HWBOT, an organization regulating international Overclocking competitions and rankings, today officially announces the final leg of this year’s HWBOT World Tour, the Overclocking World Championship Final 2017. The contest will feature nine of the world’s most feared extreme overclockers who face each other in a gruelling series of 1v1 matches to decide who will be crowned Overclocking World Champion of 2017. Hosted with partners Intel, Seasonic and CaseKing, the top five will also share a $4,000 USD prize pool. The climax of the Overclocking World Championship is almost upon us with the OCWC 2017 Final happening just a few sort weeks from now. 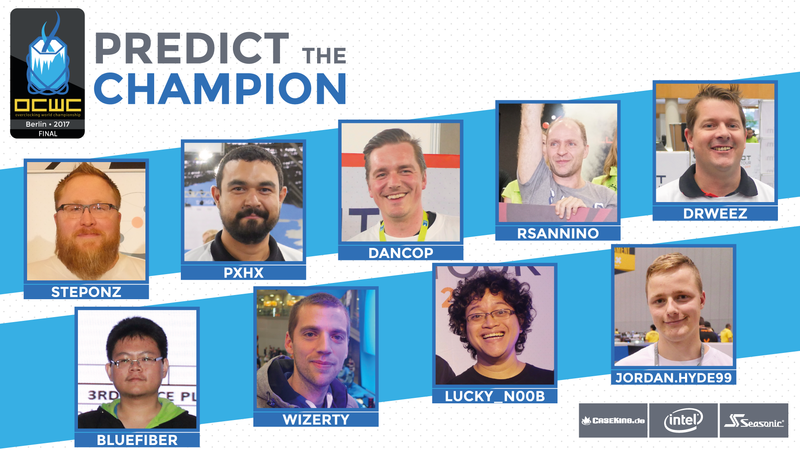 To celebrate the event, we have teamed up with Seasonic to create the ‘OCWC 2017 Final – Predict the Winner’ contest. 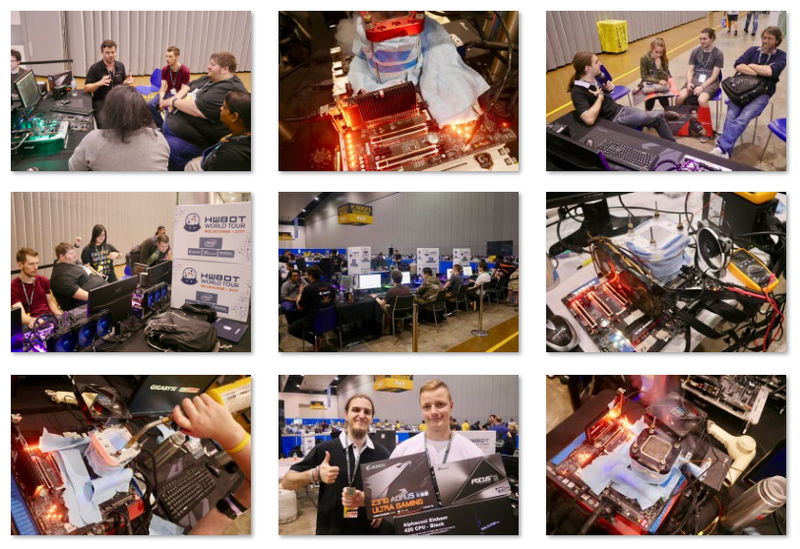 All you have to do is correctly guess which overclocker will win the contest and you will entered into a prize draw where you can win some great prizes thanks to sponsors HWBOT and Seasonic. Prizes include a latest generation Intel Core i7 8700K processor and a high-end Seasonic PRIME Platinum power supply. Today we happy to be able to officially announce more important details regarding the forthcoming Overclocking World Championship Final 2017. As you may well be aware, the contest will take place at Caseking HQ in Berlin, Germany on December 9th and 10th and is the climax of a year-long campaign to discover this year’s Overclocking World Champion. Today we are confirming the hardware that will be used in the contest, plus the overall structure and rules in place.